Building wealth over a lifetime is one thing. Successfully planning, preserving, and passing on that wealth is another. 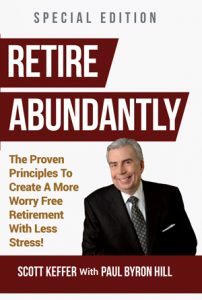 Professionals, executives, and business owners will gain insight, principles and practical advice on how to enjoy a great retirement and leave a lasting legacy in Retire Abundantly, a new book co-authored by Paul Byron Hill, MBA, MFP, MSFS, ChFC®, CFP®. “Only three percent of Americans are able to accumulate one million dollars or more, which makes them extraordinary. But many don’t understand that the rules to successfully plan, preserve, protect and pass on their wealth are very different than the rules needed to successfully accumulate that wealth,” said Paul Byron Hill. For example, Hill says, running afoul of IRS retirement account rules can cost a bundle. The Wall Street Journal reported that “Uncle Sam is about to get a lot tougher on individual retirement account mistakes—and that could trip up investors who aren’t careful.” The IRS levied over half a billion dollars in fines in just a two-year period for missed retirement plan withdrawals and contributions that break their rules. The easy-to-read book is not laden with theory or jargon. Rather it is filled with practical principles and real world examples. 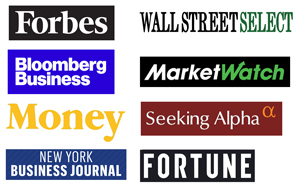 It begins by exposing how and why the financial and investment advisory industry has left many investors confused, along with common misconceptions that the industry and financial media has led them to believe. It outlines the three major retirement mistakes and includes a very helpful section detailing twelve challenging retirement obstacles. The book concludes with solutions, including an enlightening case study that illustrates concepts outlined in the book. Another interesting and informative feature of the book is its collection of real life stories of failure and success sprinkled throughout. The book concludes by showing readers how to take the next step for informed planning of their retirement and wealth goals.